Savvy Entertainment is getting set to host their first official event in The Shed, Bermuda’s newest entertainment venue in Dockyard, located on Cross Island; the space was formerly used by Team BAR during the America’s Cup and will play host to Vegas Night on Saturday, February 24 from 7.00pm until midnight. 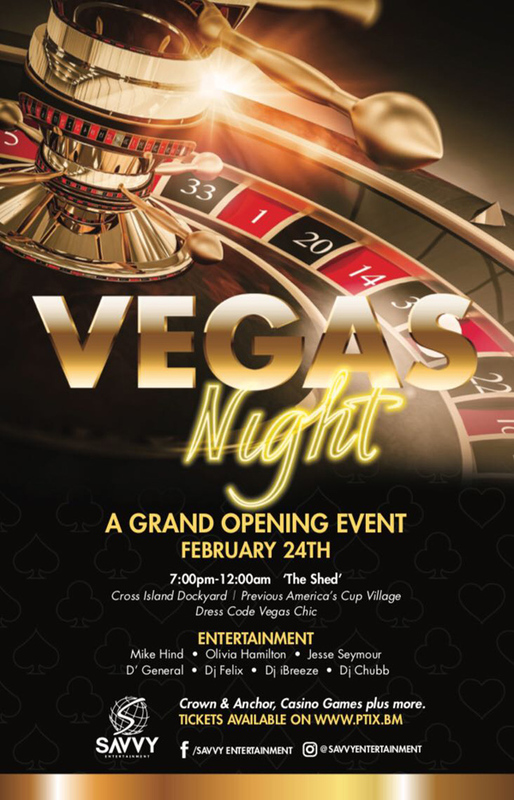 A spokesperson said, “Attendees will be able to get a taste of the fun Vegas experience, receiving a bucket of chips and complimentary cocktail upon arrival. Try your luck and play the best casino style games including Crown & Anchor and win opportunities for some great raffle prizes as you cash in your chips.